The UK is complicit in Israel's violations of Palestinian human rights through our arms trade. 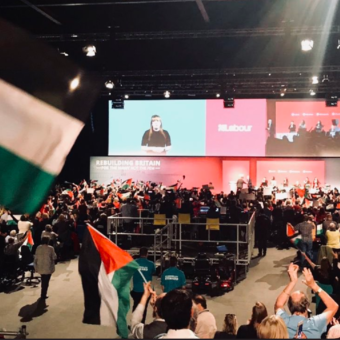 Despite the illegality of Israel's occupation and apartheid system, the UK is one of the main arms exporters to Israel as well as a major purchaser of Israeli weapons and weapon technology. 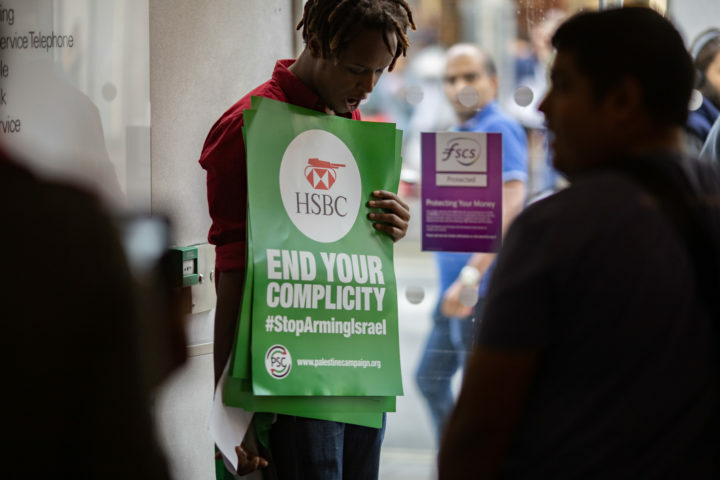 The chain of complicity extends to various corporate stakeholders who profit from Israel's oppression of Palestinians, including UK high street bank, HSBC. 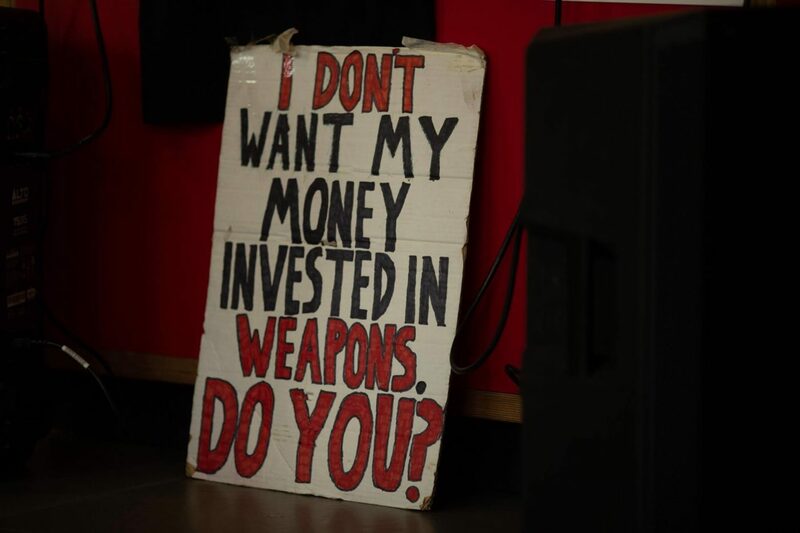 The Palestine Solidarity Campaign is currently working with a range of partner organisations on a national Stop Arming Israel campaign. 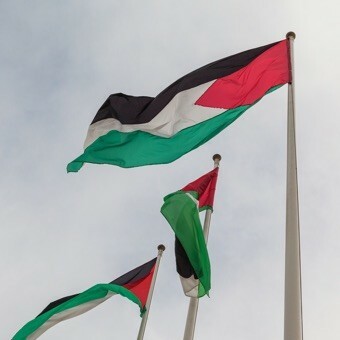 The campaign is twofold: first, it asks the UK government to implement a two-way arms embargo with Israel, as long as it does not abide by international law and respect Palestinian rights. Second, the campaign aims to tackle corporate complicity by calling on HSBC to cut ties with companies trading weapons with Israel. 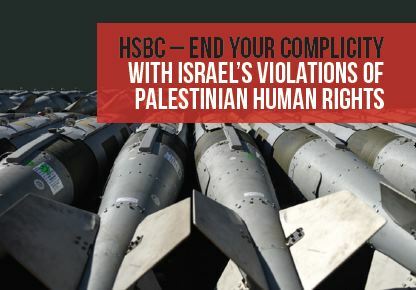 HSBC is complicit of Israel's crimes and violations of human rights through the bank's investments in arms companies as well as through providing a range of financial services to these companies, such as loans. 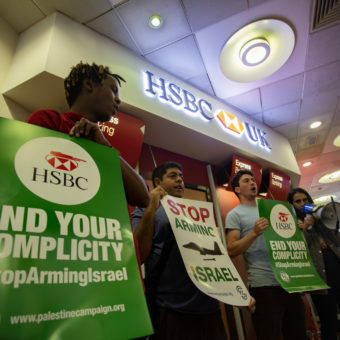 UK-wide protests tell HSBC: Stop Arming Israel!